Family vacations create life long memories for everyone. A vacation should be stress free, and so should the planning. That’s where Owner Direct can help. With a positive attitude and a destination in mind, the sky is the limit when it comes to family travel. Traveling with the whole family can be a little daunting. Before you book your trip, ensure everyone in your family who needs a passport, has one. Then begin to research your dream family get-away. 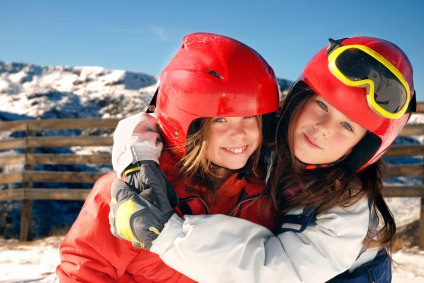 Winter vacations are always popular with the kids. Whether you a choose a destination like Big White in the Okanagan of British Columbia or Whistler, home of the 2010 Winter Olympics in Canada, you are sure to find the perfect rental accommodation to fit your family. Enjoy your days on the slopes and then snuggle together in your comfy vacation rental at night. Owner Direct has everything from one bedroom condos to homes that sleep 12 to 20 people, and most have hot tubs and/or fireplaces. Should warmer climates be your destination you are sure to discover just the right rental in places like Hawaii, and Florida. Owner Direct has thousands of properties world wide to choose from. Older children may prefer a vacation in Italy, or perhaps the warm sandy beaches of the Caribbean are exactly what the whole family will enjoy. Let the children get involved in choosing where they will be staying. With Owner Direct, finding the perfect villa or beach house is a breeze. Simply check the boxes under the Rental Search Details and you are on your way. You can choose your departure and arrival dates, number of adults and children in your group, if you have pets, how many bedrooms you’ll need, how close to amenities and other important items like internet, DVD players, gaming systems and coffee makers, to name a few. Click and book, it’s that easy with Owner Direct Vacation Rentals. Now that you’ve found your perfect family vacation rental, you can start packing. Here are a few must have items for enjoyable family travel. Wipes: Kids of all ages get dirty, even when sitting in a perfectly clean airplane. Purchase a couple travel packs, and if you are going for longer than a few days, pack the entire tub of wipes in your luggage. Night Light: Sleeping in unfamiliar places can be unnerving. Having a night light on helps children (and adults) navigate in unfamiliar spaces in the dark. Medication: Whether it is a prescription or pain reliever, pack ‘em if you got ‘em. Laundry detergent: Most stores carry little travel packs of detergent. They are perfect for soaking that ‘must wear tomorrow’ item of clothing in the sink and hanging it to dry overnight. Ziploc bags: These will be invaluable on your vacation. From collecting and storing treasures to storing things you don’t want touching other things. They are great for art supplies, snacks, holding extra wipes, and a thousand other uses; don’t leave home without them!